What was your team’s biggest challenge over 24 hours of racing at Le Mans? Nick Rowland, Wyvern Racing #25: The start! Damage before we even saw the green flag cost us. From that point, it was just grinding and fighting back. We felt a sense of achievement with P4. Marcus Hamilton, Thrustmaster Mivano Racing #3: For us, it was simply keeping the car intact. We were desperate to win, of course, but our priority was simply to finish without incident, as that was the only way to guarantee winning the championship. It made the race very tricky for us, as early on we completely avoided any battles and let cars go. Once we were in clear air, we were more comfortable pushing and focusing on our own pace while keeping things clean. It wasn’t until the final hour of the race where we felt we’d effectively done enough to win the championship, so at that point we could relax and just cruise home to take the Le Mans win too! Jake Robson, Torque Freak Racing #48: Staying concentrated with such a big lead, as it would have been very easy to throw it all away with a lapse in concentration. Ronny Nunez, Torque Freak Racing #48: Also fighting with exhaustion since we only used three drivers for the whole race! Richard Arnaud, Race Clutch #15: It was a tough race for us, with bad luck and our own mistakes. The biggest challenge was to never give up, first with Balazs’ screen freeze, then Fabrizio’s mistake, and then mine at midnight where I completely destroyed the car and we had 1 hour and 10 minutes of repairs. Our main concern was keeping P4 in the championship standings. Even with everything that happened, we continued to race and were rewarded. Of course, it was not the result we wanted, because we were again in a position to win the race as at Spa. But in the end, we were satisfied with our season. Damaged cars, traffic, and late-night driving were all challenges at Le Mans. What grade would your team give itself this season? What was your greatest success and your main area to improve on? Nick Rowland, Wyvern Racing #25: C+. We were a new team and we came together well. We ironed out some operational kinks, but work is still needed. Traffic management is a key area and we need consistent pace across all drivers. It’s a solid foundation to work from, but we seemed to get mixed up in clumsy incidents that usually were not related to us. Richard Arnaud, Race Clutch #15: It has been a great season overall for us. 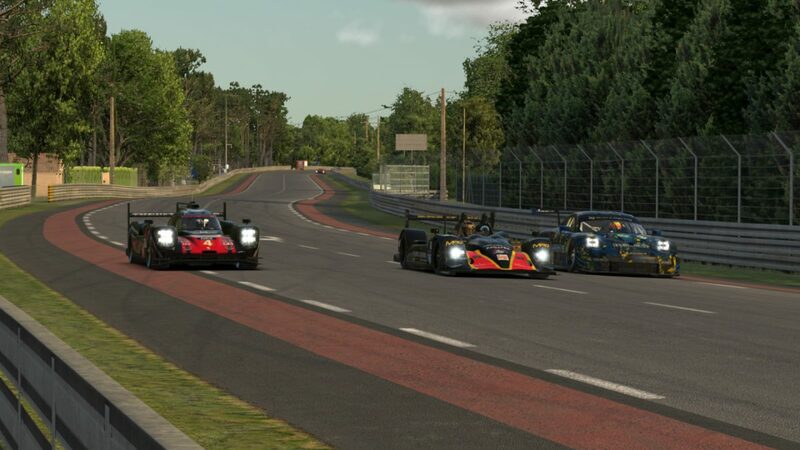 At Sebring, we were around 1.5 or 2 seconds off the pace compared to Mivano, and we ended the season with a win at Spa and one of the fastest cars at Le Mans. Overall, we have shown huge progress. It was a learning experience for us, first with the P1 car but also on the human side, as it was my first season with Balazs and Luis in the lineup together. I think we learned quickly. Our greatest success this season was Spa for sure, but we have still a big margin for improvement in qualifying and in our racecraft as well, since we made too many little mistakes. But as a rookie team, finishing P4 is a good achievement. Next time, the goal will definitely be to fight for the title. Marcus Hamilton, Thrustmaster Mivano Racing #3: Well it wasn’t perfect, but it was pretty close. It’s hard to fault the preparation we put in, our qualifying pace was great, and I think we’re all very proud of how we handled the races, as it required getting the balance right between when to push and when to be cautious. 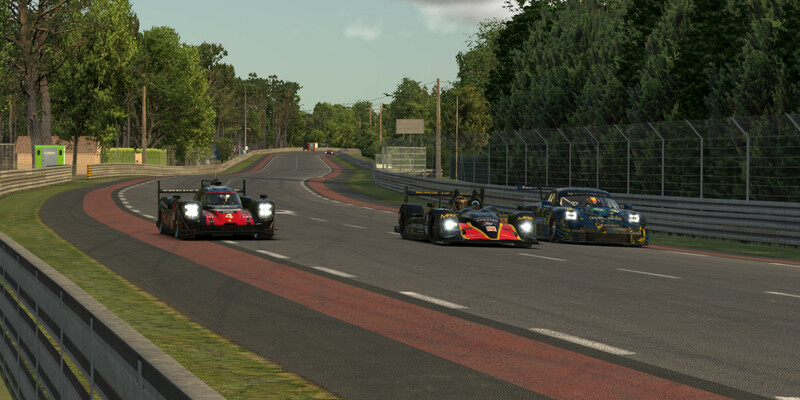 I think we faded a little bit toward the end of the season, though, as we made some strategic errors at Spa that cost us the win, and we went slightly wrong on the setup for Le Mans. However, endurance racing is as tough as it comes, and to get this close to a perfect season is a pretty unreal achievement. Ronny Nunez, Torque Freak Racing #48: I would really hate to score ourselves, but given that it was my and Dirk’s first go at NEO, I think we did well. 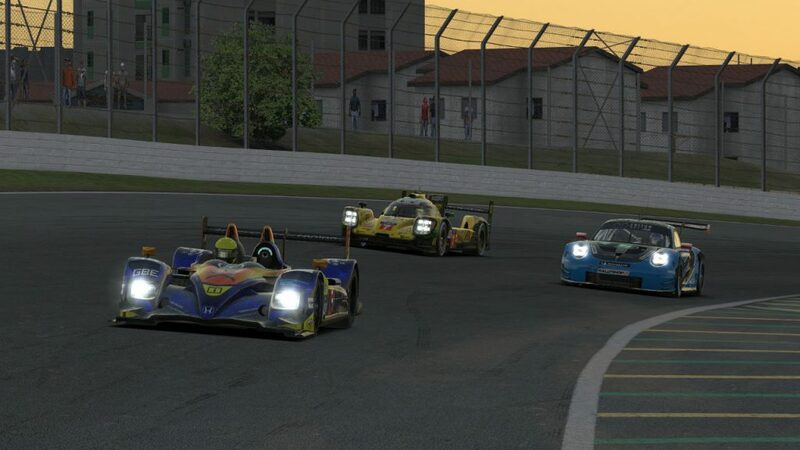 Jake Robson, Torque Freak Racing #48: I only took part in Le Mans, but the class win was our greatest success of the season — the first NEO win for the team in five years of trying! To further a race win to a championship win, I think we just need to iron out races where there was a DNF or a poor result. Torque Freak led until late in the race at Interlagos. How would you assess the NEO season overall? Marcus Hamilton, Thrustmaster Mivano Racing #3: I think NEO is as strong as ever. Arguably it was missing a few top teams this season, but I think there’s enough evidence from NEO and other similar series to show that the competition level was incredibly high in every category. We were fortunate enough to run at the front across many competitions this season, and while we dominated the NEO standings, every race was incredibly difficult and we were pushed all the way. While the series has a lot going for it, I’d like to see more emphasis put on improving driver awareness of other classes. I’ve witnessed too many close shaves for us, and too many of my teammates wrecked because another car didn’t bother to check their mirrors, and that’s unfortunate to see. Nick Rowland, Wyvern Racing #25: NEO is still ranked right up there as one of the best leagues to race in by far. It’s been a true pleasure to race this season. The schedule was nice and varied, and it threw us challenges along the way. Driving standards improved as the season went on, but in general, I think there needs to be a clear understanding that GT drivers do not jump off the racing line. Prototypes will get around you; just be predictable. The biggest issue we had was with the stewarding and the phenomenal level of inconsistency. Sometimes, the same incident happened with totally different outcomes. Brutally but honestly, that was the only downside of a fantastic season. The broadcasts have been great, the Discord is very active, and it’s a good environment to be a part of. Richard Arnaud, Race Clutch #15: The field was refreshed at the beginning of the season so it was quite chaotic in traffic to be honest. But race after race, we had fewer and fewer incidents. People started to know each other more, and that helped them make better decisions in traffic. In the P1s, the performance level up front was huge, just as in other similar series. In terms of organization, it was well-managed all the way. The addition of articles and web content helped to animate the community between races. Overall, it’s a good product and I hope that the organizers have more ambitions for next year, to develop the league with iRacing, as I think it has a lot of potential. Outside of the eNASCAR Peak Antifreeze Series, NEO Endurance has the best viewership. Ronny Nunez, Torque Freak Racing #48: I personally liked the track selection. There were challenging tracks for multiclass racing like Suzuka in the mix, which made for an entertaining race, but sadly we had our worst result of the season there. Jake Robson, Torque Freak Racing #48: Although I only took part in Le Mans, the overall organization and running of the event was as good as it has ever been. I feel the level of competition slipped slightly with teams choosing to focus on other championships, but it was still very strong. Le Mans offered plenty of opportunities for three-wide racing between this season’s three classes. The off-season is now upon us. What are your sim racing plans in the months ahead? 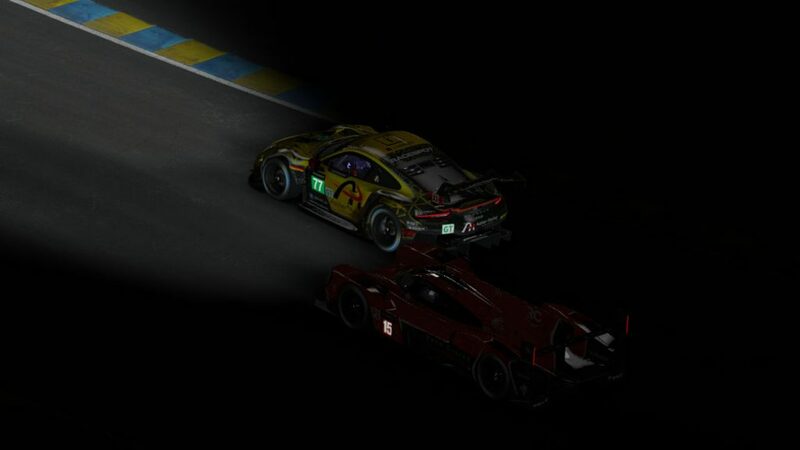 Marcus Hamilton, Thrustmaster Mivano Racing #3: For me, it looks like I’ll be following up the RaceSpot 24 Hours of Le Mans race with…. another 24-hour Le Mans race! The iRacing World Tour has a couple of interesting events that we’ll be competing in, so I’m looking forward to those, but otherwise I’ll be taking a bit of a break to recharge for the 2019-20 endurance season, and doing this all over again! Hopefully in the Audi, though! Nick Rowland, Wyvern Racing #25: I’ll take a small break from the sim to focus on some real-world racing. I have two 24-hour kart races in the space of five weeks: one in Orlando and one in Milton Keynes. That will be a busy few weeks! I’ll be following that up with the SCO GT championship in the Porsche 911 GT3 Cup car, and then probably grind some iRating until NEO starts again. Richard Arnaud, Race Clutch #15: My main focus as a team manager now shifts behind the scenes. In my personal life, and also for Race Clutch, there are a lot of things going on, and I hope that we can release some good news in the upcoming months. 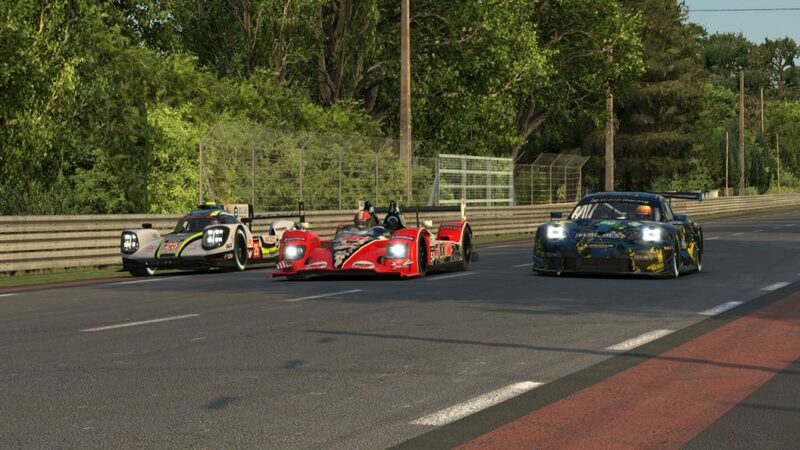 I won’t race that much, but my next one should be the iRacing 24 Hours of Le Mans. Jake Robson, Torque Freak Racing #48: I plan to get back up to speed after a year off and hopefully return next season with a higher iRating and faster pace. Ronny Nunez, Torque Freak Racing #48: Hopefully Jake won’t convince me to learn how to drive P1s!